What's new about the wisdom of a high-tech and retro-style light pole? It is reported that the smart town of Shulu has adopted the blue-and-white porcelain wisdom light pole designed by Shuncom. When you hear the word "MiLuo", people will think of "Qu Yuan", "Li Sao", "Mi Luo Jiang", "Dragon Boat Festival", "Zong Zi", or the sadness and emotion inside. "MiLuo" is a natural style with poetic and retro style. 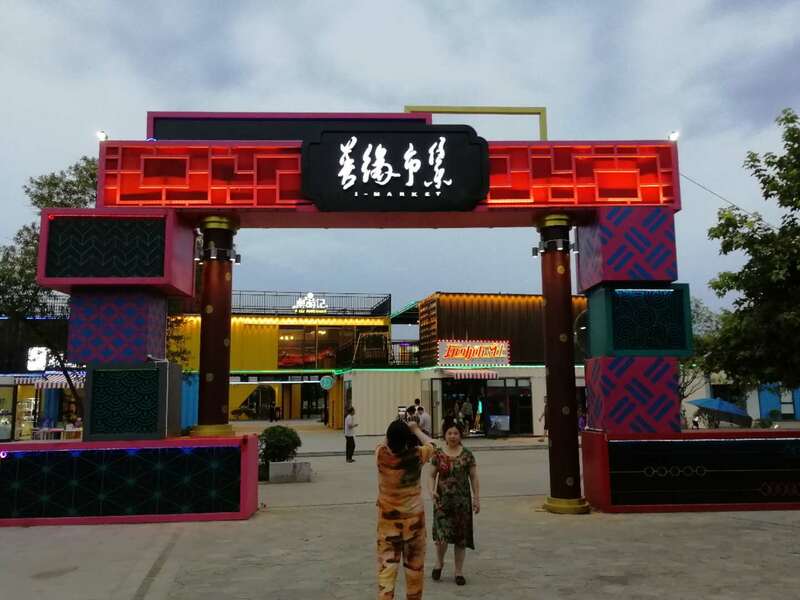 Based on the protection and inheritance of the Miluo culture, today's Jurassic still retains the retro style while realizing the high-tech blessing to create a smart town. In Miluo, do you know if a careful friend has discovered that the recent town of Miluo has become different? As the sun goes down in the evening, the street lights automatically turn on. At night, walking in the streets of the town, people shopping for a long time, the lights are gorgeous, illuminating the roads and street shops in all directions; when the passers-by are scarce, walking close to the street lights, the lights are getting brighter and brighter, away from the street lights, the lights gradually Turn from dark to dark. During the day, strolling around the street in the town, suddenly found no traffic, what should I do? Open WiFi immediately, connect the WiFi hotspots exported by street lights, play games, watch videos, chat, and listen to music anytime, anywhere. Nowadays, such scenes are being staged in various places in the wisdom town. So, what kind of street lamp is this? People can't help but stop to watch. It is reported that the smart town of Shulu has adopted the blue-and-white porcelain wisdom light pole designed by Shuncom. The smart light pole is combined with the wireless Internet of Things + blue-and-white porcelain retro style design. The light pole is equipped with a camera, high-definition display, weather sensor, WiFi base station. 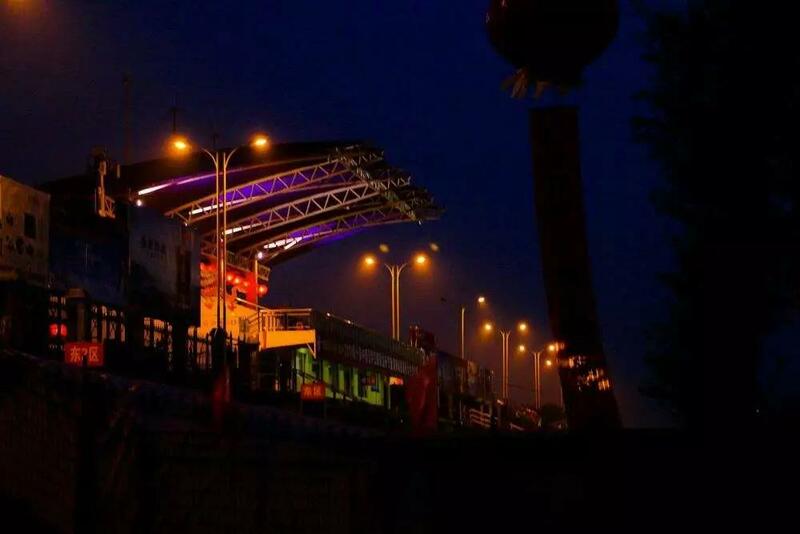 The street lamp controller and other equipments, while ensuring the inheritance of the spiritual culture of the town of Miluo, carry more urban intelligence management functions for the intelligent town's IoT network. The whole light pole is made of retro ancient porcelain, and the fresh design makes people shine. 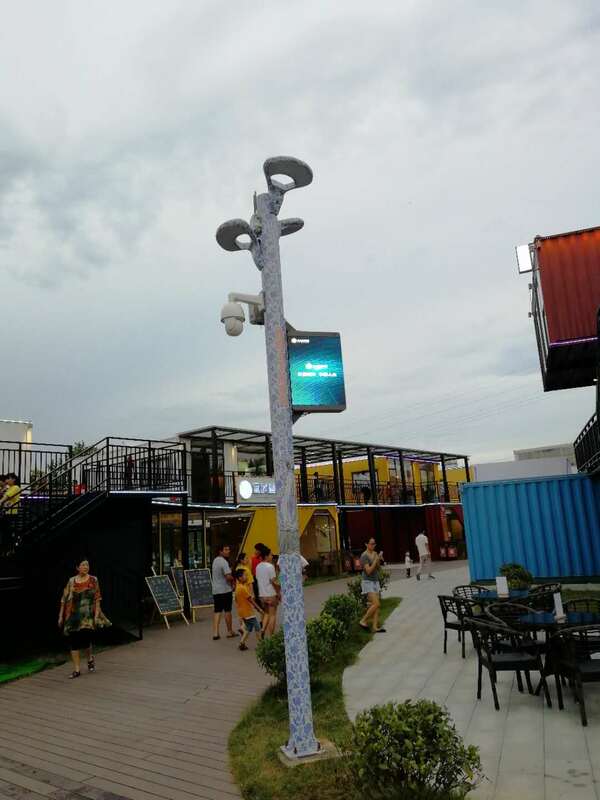 The smart light pole adopts a hanging camera, which can collect images from the surrounding environment of the street and automatically upload it to the cloud, which is conducive to the construction of the wisdom and security of the town. 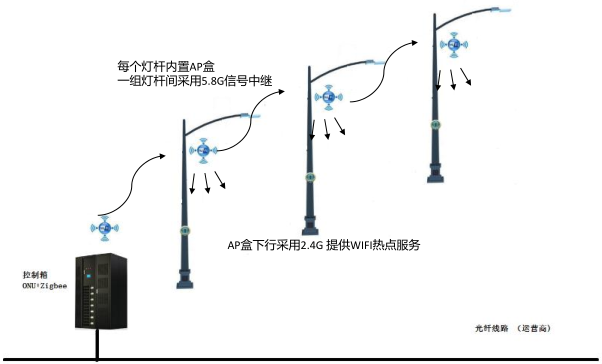 Through the use of various Internet of Things and IT technologies, such as wireless ZigBee, WiFi, GPRS (NB-IoT, LoRa optional), the entire smart light pole system realizes the remote single lamp light-on, dimming, detection and other control functions of each smart light pole. It is convenient for network inspection, refinement, standardization and daily management of daily inspections and maintenance management of urban street lamps. The smart light pole WiFi base station module uses the carrier fiber network to be more stable than the wireless 4G. In areas where the fiber is not deployed, the 4G micro base station can be used. The 5.8G signal is used to make Mesh between the poles, and the downlink 2.4G frequency band is provided as the AP for Internet access. The environmental monitoring system monitors the environment, such as gas, rain, snow, fog, temperature, humidity, etc. 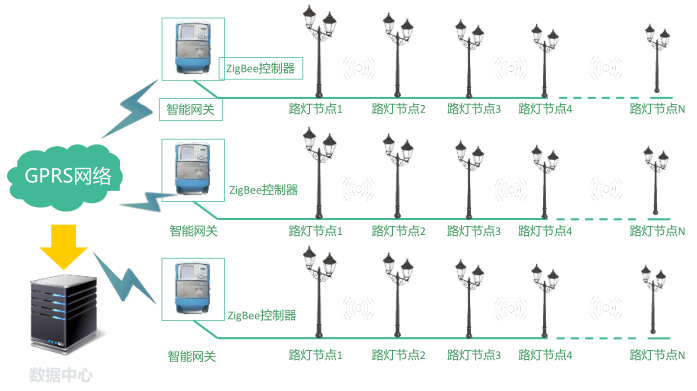 by integrating various environmental monitoring sensors on the smart light pole. The high-definition display receives broadcast and media information in real time through the Internet of Things, and provides functions such as advertising lease and city information broadcast. Blue and white porcelain wisdom light poles settled in Miluo, and illuminated the light of the town with the wisdom light. At the same time, it also brought more wisdom experience to the town through various functional modules. It is beautiful and practical. As the core subsystem of smart city, urban smart lighting is of great significance to the construction of smart city. But it also needs to be closely related to more intelligent subsystems to bring more comfort and convenience to the citizens' lives. As a professional smart city solution provider, Shuncom Intelligent has existing products including CCIoT smart city management platform, smart light pole, NB-IoT-based intelligent smoke/intelligent geomagnetic/smart manhole cover sensor and Zigbee/NB-IoT based. /LoRa technology street light controller, etc. Shuncom is committed to applying smart city supporting equipment to more smart city subsystems and contributing more to the construction of smart cities. 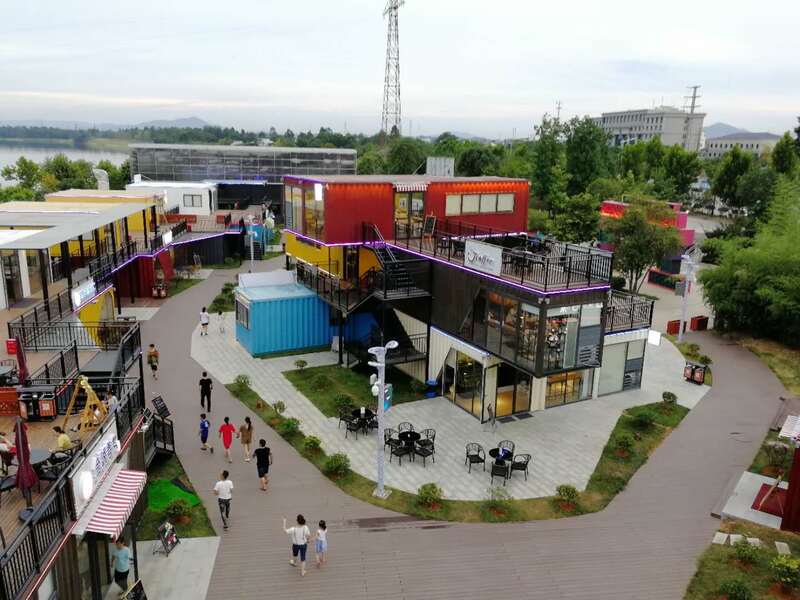 At present, Shuncom smart smart city solutions have been widely used in projects in Xinjiang, Inner Mongolia, Xiong'an, Chongqing, Xi'an, Zhengzhou, Anhui, Hunan, Hubei, Shanghai, Zhejiang, Jiangxi Yingtan, Fuzhou, Malaysia, Indonesia and other places.